"From the Mekong river we headed to the Temple of 100 Columns at Samba which is 36km north of Kratie - the last section of the road is very rough - the foundation seems to have been made with large rocks and is now full of large potholes. 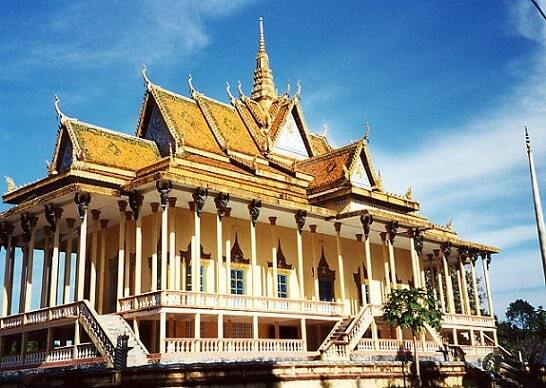 It actually has 108 columns and is the largest pagoda in Cambodia." The 100 Column Pagoda is situated in Kratie, a province in the northeastern part of Cambodia. It is quite remote, will put you off to a long road travel, yet it is well loved by backpackers who are seeking for a unique adventure in the first place. Getting to Kratie will require you to run into the bus service. Roads have been significantly improved so expect your travel to be comfortable although it can be quite long. Kratie is a small town you barely need to hire a car to get around. The tourist spots within the province are also pretty accessible by simply just a motorbike. The 100 Column Pagoda is a priceless architectural structure. Its special features include four Buddhist temples that face different directions � the Vihear Lao, the Vihear Kork Keut, the Vihear Sar Sar, and the Vihear Kork. All temples and structures within the 100 Column Pagoda are must-see sights. You would not like to miss them for your life. Just recently, the 100 Column Pagoda was renovated. It now stretches about 35 meters, is 18 meters wide, and 23 meters high. It also now has 116 columns all in all. The 100 Column Pagoda was built at the site of the old Royal Palace Temple in the Sam Bor District. 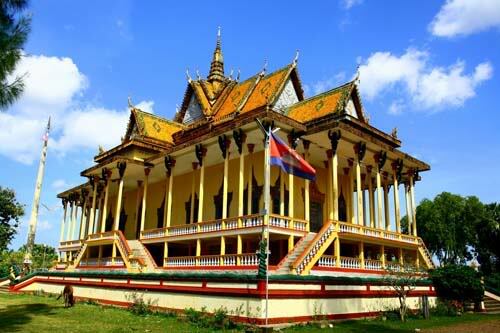 It was constructed in early 19th century in memory of Preah Ang Chan Reachea II�s daughter who died because she was swallowed by the crocodile Nen Thun. There is no information as to how much it would cost you to enter the 100 Column Pagoda. What�s for sure is that you will have to spend a couple of dollars to get to the site. Since it is a remote location, you will have to travel by bus and use the improved roads for a fee. 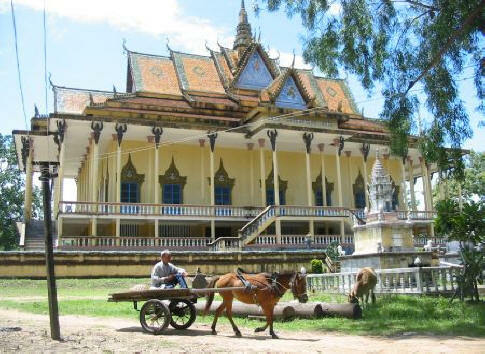 There are many interesting tourist spots within the province of Kratie and all of them are worth a visit. 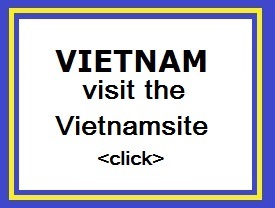 There�s the Town Museum, which requires $2 donations. There are also the basket weaver villages, where you will experience the Cambodian ingenuity. There�s also Phnom Sombok, a temple located on a hill. Kratie is a very interesting province rich in tourist destinations. It may be a remote location that you will find hard to access but once you�re there, you will be treated to numerous unique explorations.